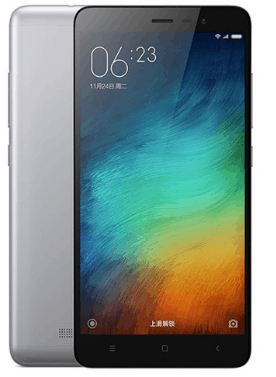 Redmi 3 Pro made an entry in the market with a descent look and slim body. The phone has a quite attractive design. Drivers are the most important part, while connecting your smartphone to a computer or flashing firmware on it. Therefore, one should install the required drivers officially released for that particular model in order to connect the smartphone to a computer or flashing firmware. In this tutorial, we have include drivers for connecting purpose and for flashing firmware on Xiaomi Redmi 3 Pro. The phone is equipped with 5.0 inches screen supporting resolution of 720×1280 pixels and runs on Android 5.1 (Lollipop) powered by octa-core processor. The internal memory of the phone include 32 GB with 3 GB RAM and also support micro-SD card upto 256 GB. The camera of the phone include 13MP primary camera with LED flash including features and 5MP secondary camera for selfies. The connectivity medium include WLAN, Bluetooth, GPS, Infrared port, Radio and USB. Xiaomi Redmi 3 Pro is powered by Li-Ion 4100 mAh battery. Redmi 3 Pro price in Pakistan is 27,500.